Outrigger pads are tools used to keep cranes and other pieces of heavy equipment from sinking into the ground during lifting. Anyone experienced with rigging is probably familiar with the pads to at least some extent. We sell outrigger pads as part of our inventory of rigging supplies. We cannot stress enough the need for safety when deploying outrigger pads. As with everything related to rigging, there are safe and unsafe ways to deploy them. Relying on general rules of thumb or intuition doesn’t cut it. To be safe, you have to do things the right way. The place to begin here is with government regulations. According to OSHA, safety is always a requirement. OSHA 1926.1402 states that, in all instances in which a crane or other lifting equipment is used, the ground on which the equipment is placed must be firm, sufficiently drained, properly graded, and able to support blocking, cribbing, and outrigger pads. OSHA regulations relate mainly to construction and industrial work. So for jobs outside their scope we look to ASME B30.5 code. This code has been approved by the U.S. government, making it legally binding. It states that any blocking or pads used to support heavy equipment must be sufficiently strong. They must be able to safely support floating and transmission of the load without excessive settlement, shifting, or toppling. This is just a general outline of OSHA and ASME rules. For details, consult both documents online. They offer all the information you need for a safe lifting experience. Next, it is important to know and understand the working load limits of your outrigger pads, blocking, or cribbing. The three models of outrigger pads that we sell have working load limits of 45,000, 55,000, and 60,000 pounds. All have a crush rating of 200 PSI. These working load limits apply just to the pads themselves. They have nothing to do with the strength or support of the ground underneath. So just because you have an outrigger pad strong enough to handle the load you’re lifting doesn’t necessarily mean you’re good to go. Lifting safely requires a few basic calculations, beginning with the total amount of force the operation represents. Total force is really just the sum of all the ‘moving parts’, so to speak. Add together the weight of the crane, load, rigging equipment, and any accessories. The total weight equals the force of the load. Next, you must calculate the amount of area needed to safely distribute the load across your outrigger system. For that, you’ll need to know ground (soil) pressure. The lift supervisor should provide you with that number measured as pounds per square inch (psi). To determine area, divide the total force by the ground pressure. The resulting number will be the total area over which the weight will be distributed. Calculate the square root of that number and you’ll know how much area each of the four corners of your rigging system should cover. In some cases, you may find your outrigger pads are sufficient in and of themselves to carry the load. Other cases might require additional blocking or cribbing underneath the pads. Just make sure you get it right one way or another. Feel free to contact us if you have questions about our outrigger pads. Also remember that we carry a full line of rigging supplies. Whether you need slings, straps, blocks or hooks, Mytee Products probably carries it. And if we don’t, contact us anyway. We might be able to procure what you’re after. It seems as though the heavy trucking industry is working harder than ever to enter the realm of autonomous trucking. Every time an equipment manufacturer announces even the slightest bit of progress in the arena of automotive autonomy, dozens of news articles and blog posts begin speculating a future where trucks rumble down the highway without drivers sitting in their seats. We would like to suggest a bit of cautious skepticism. Set aside heavy trucking for one minute and just consider all the hurdles that have to be overcome to make passenger vehicles autonomous. There is a reason we have been working on this for more than a decade and are might still have while towards achieving driverless driving. Autonomous technology must overcome the imperfections of humanity in order to succeed, and that is no easy task. Things are even more complicated when attempting to apply automotive autonomy to heavy trucking. One of the biggest problems of autonomous trucking is based in cargo control. Both federal and state laws require truck drivers to properly secure their cargo prior to transit, then ensure it remains properly secured until delivery. Such mandates pose a big problem for autonomy. If you are going to truly automate trucking, you must also find a way to automate cargo control. The first hurdle to overcome is automating cargo loading and securing. This is easier to do with dry vans, refrigerated vans, and other enclosed trailers. It is not so easy with open-deck trailers. In fact, it’s a lot harder in the open-deck environment. A dry van is really just a box on wheels. It would be fairly simple to automate loading by utilizing a robotic conveyor system and stacking mechanism. Just create uniform pallets and the robots to handle them and you’re all set. We already have the technology to do it. As for flatbeds, it is an entirely different ballgame. A flatbed, or open-deck trailer, is used primarily to transport cargo that cannot be moved safely or efficiently in an enclosed trailer. That automatically means non-standard loads that cannot be loaded and stacked by robots. It also means manual cargo control that requires the use of chains, straps, blocks, bungees, and truck tarps. Everything you would normally get in a box trailer scenario has to be implemented manually on an open deck. We may someday have robots capable of inserting blocks and tying down concrete tubes. We might have drones that can deploy truck tarps much more quickly and efficiently than human beings. We may eventually reach a point at which loading lumber is an entirely automated process. However, we are not there yet. It is a Herculean task just to automate loading and securing cargo. But for trucking to be completely autonomous, there has to be a way to maintain cargo control throughout an entire journey. Now you are talking about computer and robotic systems capable of monitoring chains, straps, etc. while a truck is in transit. And if anything is amiss, the system has to be able to self-correct. Given the ever-changing environment of cargo control, it is highly unlikely that we will be able to automate the process at any point in the relatively near future. If true trucking autonomy is ever realized, we are likely looking at decades before workable prototypes are even available. As wonderful as the idea is, autonomous trucking is more fantasy than reality. Cargo control is just one of the many hurdles that science is not close to overcoming at this point. Operating a tow truck or wrecker does require a good understanding of safety procedures. Between working in traffic and having to deal with hazardous conditions related to weather and topography, things can go wrong even on the easiest of jobs. The tow operator doesn’t need to make things even less safe by not knowing how to properly use his or her equipment. This includes the electric winches found on tow trucks and wreckers. By itself, an electric winch is a harmless and inanimate piece of machinery. But hook it to a car and you have an entirely different matter. Once in action, winches are inherently risky tools that need to be treated with a safety-first mindset. Improper use of a winch could lead to property damage, serious injury, or even death. Using a winch safely starts with reading and understanding the owner’s manual. We know, it is so easy to discard the manual along with packaging. But it’s included for a reason. Not only should it not be ignored, but it should be fully understood before installation and use. Along with all that is the basic principle of installing an electric winch according to manufacturer specifications. Those specifications are found in the owner’s manual. Safe operation requires doing exactly what the manufacturer recommends, right down to little details like not welding mounting bolts and using only approved power cords and wire rope. Manufacturers will always recommend a tow operator inspect his/her winch before using it. This means before every use. Even if a tow operator doesn’t think an inspection is necessary on every job, the winch should still be inspected on a regular basis. The operator should be checking winch rope, hooks, slings, and all visible moving parts of the winch. Frayed, kinked, or damaged winch rope should never be used. Any moving parts that appear to be worn should also be considered for replacement. You can never be too careful when you are connecting an electric motor to a 12,000-pound vehicle using a piece of winch rope. The nature of towing and vehicle recovery is such that problems with an operator’s equipment are usually not apparent until he or she is in the middle of a job. In other words, a visual inspection may not reveal a potential weak point in a winch rope. The operator might never know the rope is weak until it snaps during a recovery. As such, the tow operator should always assume that danger is present whenever using a winch. Basic safety rules always apply no matter the circumstances. For example, the operator should stay out of the direct line of the wire rope during recovery. A winch dampener should be used just in case the rope snaps. Operators should use spotters when possible. The spotter should also be out of the direct line of the rope. Neither the operator nor the spotter should attempt to manually assist the winch by pulling on the rope. Finally, tow operators should never use electric winches to recover loads that are too heavy. They should never be used for overhead lifting either. Winches come with weight ratings that should always be adhered to. Exceeding the stated limits of an electric winch will almost always end badly. Mytee Products sells a range electric winches for tow operators. We also carry a complete line of towing supplies including auto hauling straps, hooks, chains, and safety lights. Feel free to use our inventory to stock your tow truck or wrecker. Truck drivers across North America were subject to the annual Commercial Vehicle Safety Alliance (CVSA) Roadcheck inspections back in June (2018). You know exactly what we are talking about if you drive a truck for a living. But did you know that inspectors actually practice what they do? They do it to be better at what they do, though some practice in order to compete. There’s a lot more that goes into truck inspections than meets the eye. 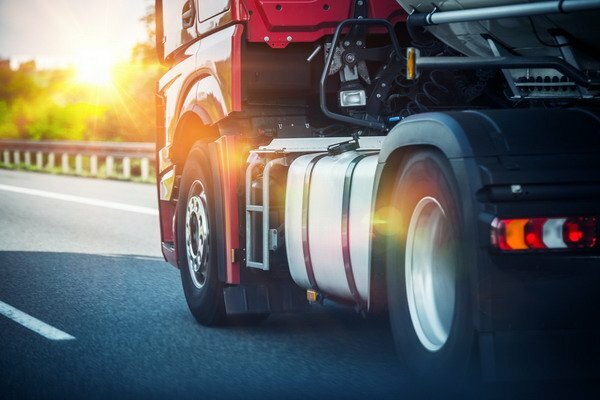 In terms of cargo control, truck drivers are all-too-familiar with inspectors checking everything from the number of tie-downs to the actual physical condition of webbing straps and chains. They check hooks, winches, anchor points, bungee straps, and even whether truck tarps are secured well enough to keep them in place. Inspectors also check the physical condition of the trucks they are looking at. They check everything from tires to breaks and operating lights. And of course, don’t forget hours of service rules and the new ELD mandate. They are looking for anything that could pose a danger on the road – no matter how minor. A large number of truck inspectors gathered in Columbus, Ohio this past summer to participate in the CVSA’s North American Inspectors Championship. According to news reports, there were more than four dozen inspectors representing the U.S., Canada, and Mexico, all competing by way of a written test and hands-on demonstrations. They were competing alongside truckers involved in the National Truck Driving Championships. While truckers were practicing everything from cargo control to turning and backing, inspectors were practicing all the steps that go into doing what they do. When it was time for the competition to commence, both drivers and inspectors hoped to be at the tops of their game. A truck driver uses chains and straps to securely tie down a load. Drivers practice load tie-down in order to increase their efficiency in the real world of work. The more efficient they are at cargo control, the more time they have to keep the wheels rolling. It is just common sense. Inspectors are in a similar situation. They practice the skills necessary to conduct complete inspections that are simultaneously efficient. The more trucks they can get in and out of inspection stations, the more they can look at in a given day. This keeps the trucks moving and the roads safe. For both trucker and inspector, the key to success is knowing the regulations and physics of cargo control. Federal law, at least in the U.S. and Canada, is very specific in detailing how truck drivers are supposed to secure cargo to their trailers. One look at the FMCSA’s trucker handbook says it all. Truckers need to be familiar with the rules so that they maintain compliance. They also need to be familiar with physics. Why? So that they can deploy their cargo control materials in the right way. No webbing strap or chain will do its job if it is not deployed properly. As for inspectors, they need to have that same knowledge of regulations and physics. It is their job to make sure truckers are complying. If they don’t know what’s going on, they cannot possibly do their jobs. Truck drivers, you now know that those inspectors you deal with all the time practice what they do. They not only practice to compete, but also to make sure they always operate at the highest possible level. It’s probably not a good idea to put them to the test. They know what they’re doing. You may have decided to start your own towing business in advance of the busy winter season. That decision has brought you to our website to search our auto hauling and towing inventory. We are happy you’re here. Hopefully, you have the resources necessary to make a go of things as a small business owner. We would like to encourage you with our own bit of advice: look at your auto towing supplies as an investment in your business rather than just the tools of the trade. Starting a business always requires at least some financial investment. In your case, you are likely putting a lot of money into your brand-new venture. In addition to towing chains and hooks, auto hauling straps, emergency lights, and all the other equipment supplies you need to outfit your truck, you also have the cost of the truck itself. You have insurance to think about. Then you are going to have office expenses, labor, and so much more. It all adds up to quite a hefty bill. So again, this is why we say you should treat your auto towing supplies as an investment. The thing about investments is that they are long term in nature. Even those considered short term investments by professional investors still have a longer shelf life than putting your money into consumable products. Where towing chains, hooks and ratchets are concerned, your goal should be to get your hands on products you can count on to last a long time. There is a temptation to cut as many corners as possible when starting a new business. That may work in some industries, but it is not wise in auto hauling and towing. It is well worth it to spend a little more on high-quality towing supplies now rather than saving some money up front only to have to spend more to replace faulty items later. Another thing to consider is the psychological value of looking at your startup costs as an investment. Yes, money will be spent to get your towing operation off the ground. But the money you’re spending today will generate profits down the road. That’s what this is all about. So investing more in high-quality towing supplies will pay off in the long run. Knowing that can make spending more on quality a lot easier to embrace. Investing in reliable towing supplies also amounts to investing in your own safety. The last thing you need as a tow operator are chains and hooks that are not going to hold up to the stresses of vehicle recovery. Just remember that it only takes a single snapped cable or broken chain to cause a serious accident. We recommend never skimping on chains, hooks, straps, and ratchets. Everything you use in the towing business needs to be high-quality and reliable. Life and limb are just too valuable to risk on sub-par towing supplies. Beyond the chains and hooks are the lights you’ll need for your truck. Those emergency lights found on the tops of tow trucks are not there for decoration. They are there to alert other motorists that a vehicle recovery is underway. Flashing amber lights can mean the difference between a successful recovery and a terrible accident. You are doing more than just buying tools of the trade for your new business. You are investing in yourself and your future by purchasing the towing supplies you’re going to need to do what you do. Purchase wisely. If you have any questions about the products we sell, don’t hesitate to ask.